Some people cannot stand to see anything but grass growing in their yard and will use any means necessary to wipe the weeds from the face of the earth. Others don’t mind weeds as long as they stay with the overall green idea of a lawn, while still others actually encourage certain weeds to become established in their lawns so that they have a ready supply of natural medicine and food. If you take the time to research, you may find you have quite the buffet and medicine chest available right outside your door. 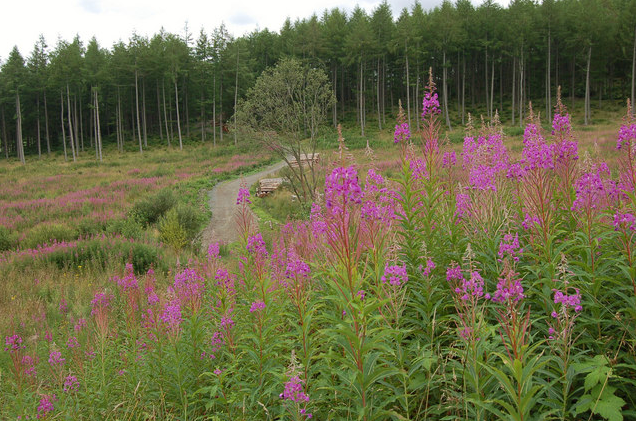 I have all seven of the following “weeds” growing either in my yard or in the fencerows and woodland of my farm. Many Herbals (Herb listings along with their uses) list all the claims ever made for certain herbs. If you read enough they will start to sound like snake oil salesmen. Use common sense, and always start small. It is important to consult a physician before trying to self medicate with herbs and other natural remedies. Someone defined a weed as a plant growing somewhere you don’t want it. Dandelion fits that bill for many people. Dandelion is not native to North America. It was brought here by early settlers for its many wonderful properties. 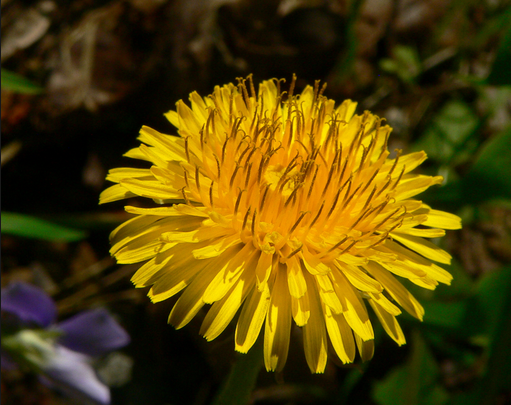 The two main effects Dandelion has in healing are as a diuretic and anti-inflammatory. It has been used internally for stomach ailments, joint pain and to increase urine, along with a laxative effect. Topically it is used for cuts, bruises and eczema. Dandelion also makes a good potherb, salad, wine, tea or coffee depending on how it is prepared. One final use of dandelion is as a source of latex. 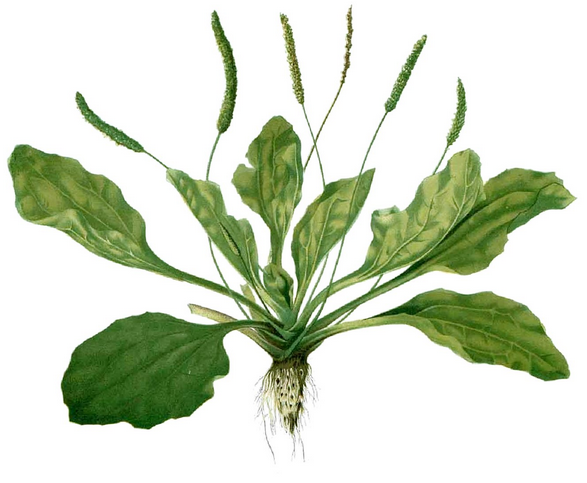 One of the more common lawn weeds is Plantago Major, or simply Plantain. This is another multi-use weed. Topically it can help stop bleeding, and made into a salve (a popular Amish salve) it is good for bruises and really any skin irritation or blemish. Internally it can be used for many things including irritable bowels. It has an expectorant effect so it can be used for coughs, and some have claimed as a decongestant. Willow may not be considered a weed where you live, but some places it grows unchecked along waterways. In addition, an old weeping willow will sprout new trees anywhere they can touch the ground with their limbs. Willow is your wild pain reliever. Chew on the twig for mild relief, or make willow bark tea for a stronger effect. Willow has the same chemicals as the aspirin in your medicine chest and can be used in the same ways. Ground Ivy (Creeping Charlie) is a problem at my house; it seems to want to take over everything. 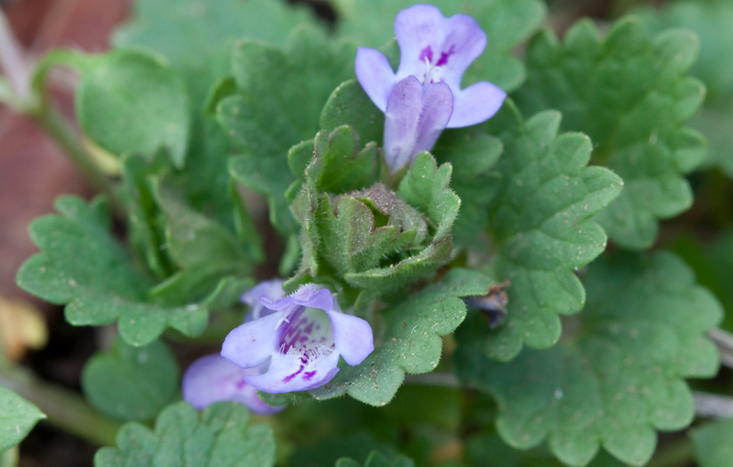 Ground Ivy has similar properties to the other weeds we have talked about already. However it is claimed to be an astringent (drying out body fluids) so the effects are accomplished differently. It can be used for coughs, arthritis and joint pain, diarrhea, kidney and bladder stones, along with topically for wounds and other skin conditions. It can be used as a potherb and in salad. I think it has a rather strong taste so start with a little and see how you like it. Purslane seems to only want to grow in my garden or in the field with the crops, so in that sense it truly is a weed for me since I don’t want it there. Purslane is high in vitamin C so it is an effective scurvy prevented/treatment. It has been used for treatment of internal parasites, along with being considered a blood cleanser. Topically it is an effective treatment for insect bites along with sores on the skin. 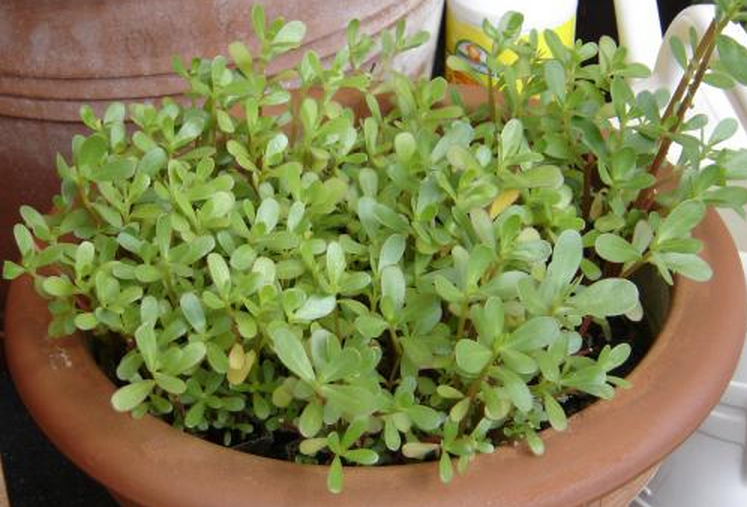 Purslane makes a good potherb, a nice addition to salads and can be chopped up and stir fried. 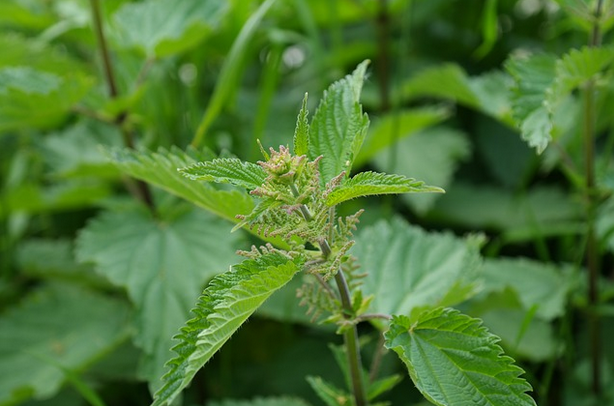 Stinging nettle is an all around useful plant that grows in my fencerows and woods. It is in my opinion second only to dogbane for making cordage. Nettle has a plethora of claimed medical benefits from stopping several kinds of internal bleeding to treating hair loss. This is an herb you need to research on your own to find out how it might benefit you. Nettle makes a good potherb (I have been wanting to try a cream of nettle soup recipe I have had for quite some time) when picked young. Another weed that likes to grow in my garden is Jewelweed. 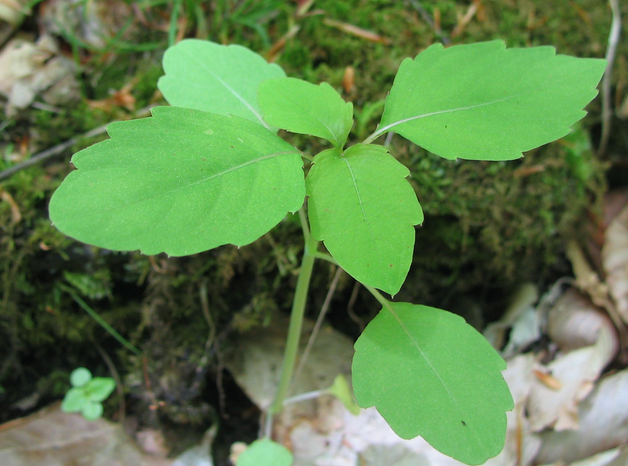 Jewelweed is good at treating skin rashes and is especially if used after you’ve come into contact with Poison Ivy or Sumac since it grows in the same environment. Crushed leaves are applied to the exposed skin. Jewelweed is also used internally to treat mild digestive orders. I don’t know of anyone who uses Jewelweed as a food source, but Web MD lists it as “Possibly Safe” to be taken internally. These seven “weeds” are just the tip of the weed iceberg growing all around you. If you take the time to do some research who knows what useful weeds you will find growing happily in your own neck of the woods. This entry was posted in Uncategorized on April 27, 2015 by David Adams.